What’s In My Supplement Cabinet | Go Figure Girl! I’ve taken everything from thermogenics to liver pills in the past thinking that everything I was adding to my routine was making me stronger and more fit. Yet after discussing my supplement regimen with my trainer, I learned that many of the things I was taking weren’t doing a darn thing. Most of the supplements in my routine were more important for competitors in the thick of their pre-contest phase, which I was – and still am – not. My trainer pinpointed a few extras that would help me get to where I need to be – and it isn’t many. Here’s what’s currently in my supplement cabinet with links to them all. – I take a multi-vitamin each day to ensure that I’m nutritionally balanced. This contains calcium and essential vitamins and minerals with no caffeine or other enhancement additives. – I take 1 serving (2 pills) each day with breakfast. 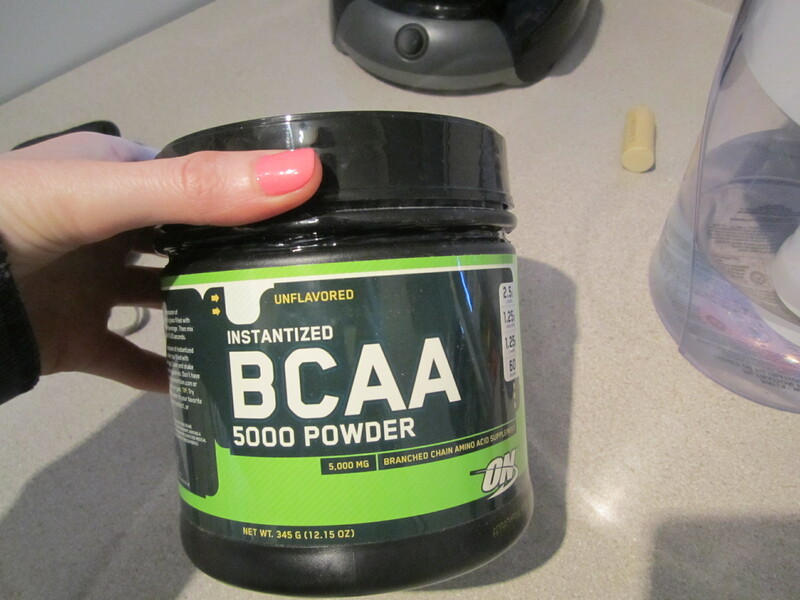 – BCAAs (Branch Chained Amino Acids) consist of Leucine, Isoleucine and Valine. Leucine is the king of the BCAAs and is essential in protein synthesis. They help your body retain muscle while leaning out and help you add lean muscle while bulking. – Right now I am “mega dosing” doing 20 – 30g of BCAA per day: On training days I take 2 servings of this pre-workout and 2 servings post-workout with my shake. I will also take 1 serving before bed. On non-training days I take 2 servings in the AM and 1 serving before bed. 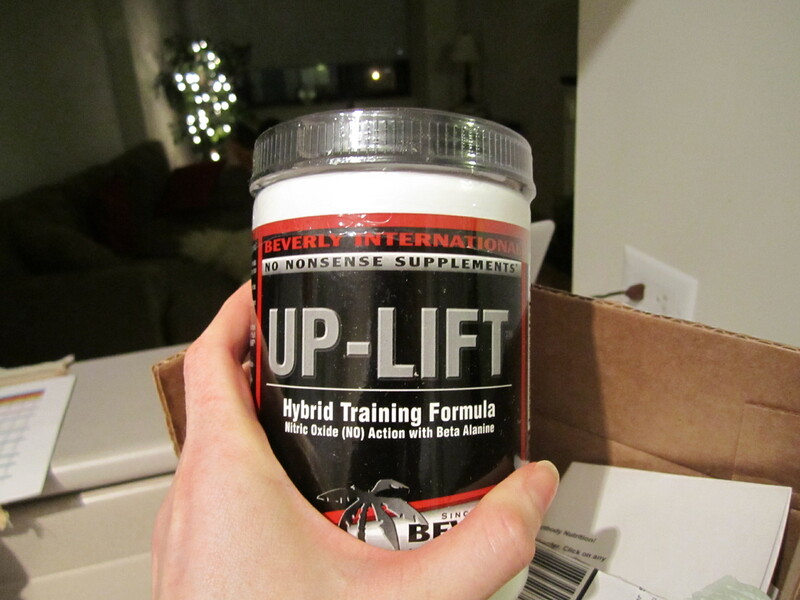 – Up-Lift is an NO (Nitric Oxide) booster that helps increase blood flow to your muscles to help them last longer and recover faster so you can get more intense lifts in each session and be able to hit the weights again the next day. 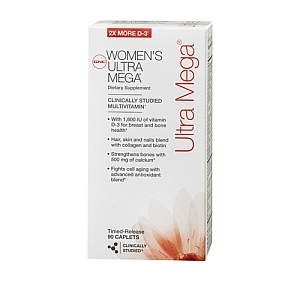 – I love this supplement and pay a little more for it because there is absolutely no caffeine. This means you can take this for a PM workout without inhibiting sleep – a huge plus. – You can check out the benefits of NO supplements here. – This is something I just started taking. Hydrolized protein is broken down into smaller pieces so your body can absorb the nutrients faster. 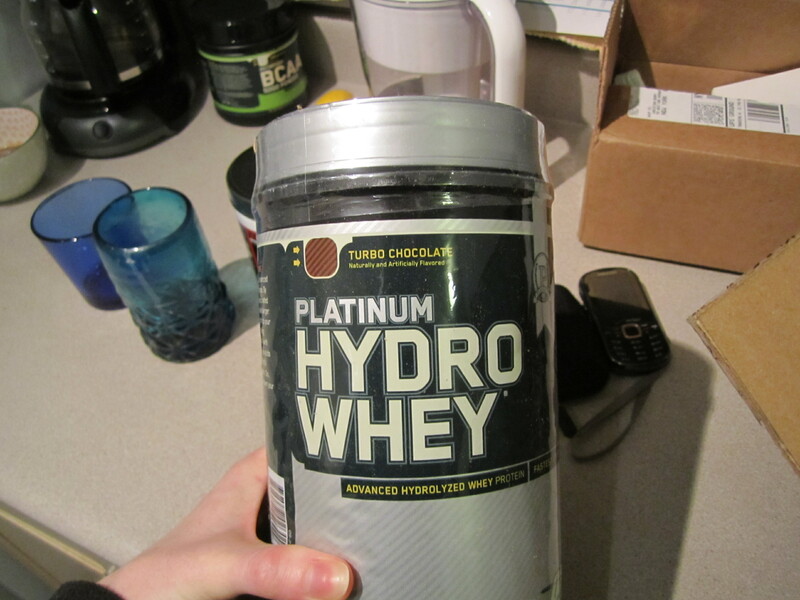 – This is kind of expensive and the jury is out on how much more effective hydrolized protein is, so I ordered the 1.75lb tub and will see if I notice any significant changes. – I take 1 serving pre-workout and 1 serving post-workout. 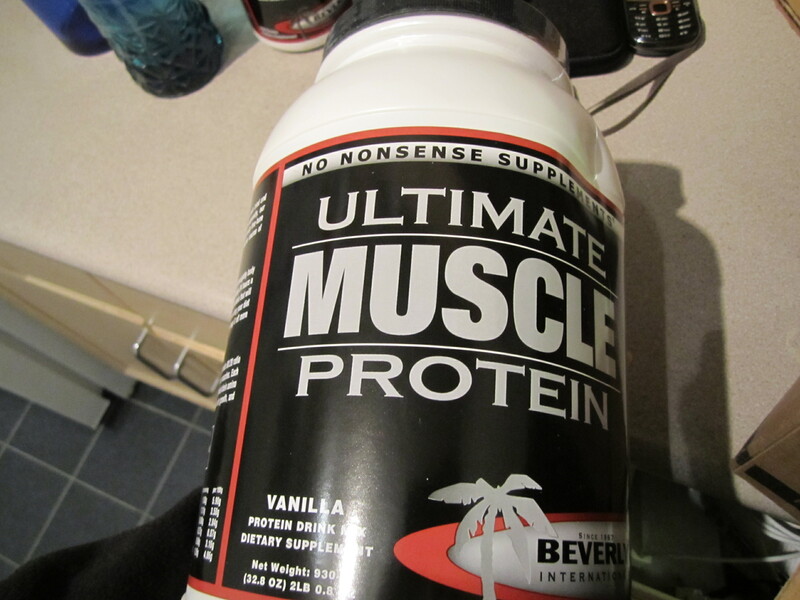 – This protein powder contains casein protein, a protein with a slower rate of digestion, and which provides muscles with sustained nutrition over an extended period of time. – I like to take this before bed to ensure that my muscles have something to chew on for the next 8 hours. As I move into contest prep mode my supplement routine will change, so I’ll keep you posted. But just keep in mind that you don’t need to put a lot of extra things into your body when you’re looking to change your physique. Find out what works for you, but do your research first to make sure it’s worth it. What’s in your supplement cabinet? This entry was posted on February 19, 2012 by belcbody. It was filed under Uncategorized .